Wine should be simple. Here are some tips on finding great bottles on a budget, and how to kickstart your education when it comes to drinking well. Invest in decent stemware. Look for glasses with medium-sized bowls, which are versatile enough for all wines, and thin rims, which always make wine taste better. Hand washing will keep them looking their best, but if the stems are dishwasher safe, use only the top rack. Get these must-have wine tools. Keep gel-filled wine sleeves in your freezer to quickly chill or keep bottles cool. Find a comfortable wine opener, whether it’s a small waiter’s friend, or an easy-to-use lever-style corkscrew. Finally, get some non-drip pourers to eliminate spillage concerns. Select house wines to keep on hand. 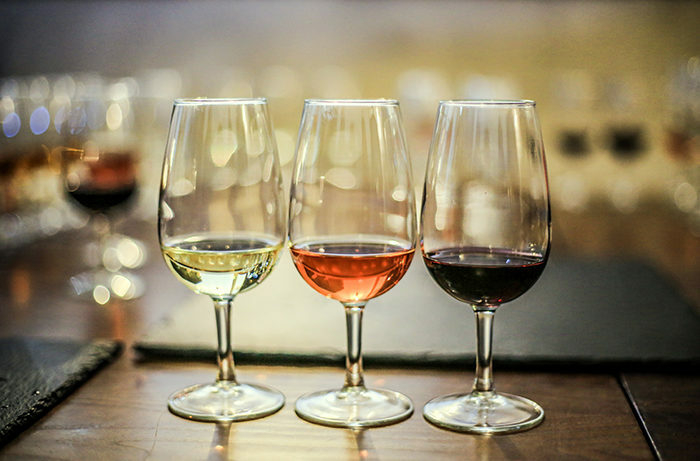 Sauvignon Blanc and lightly-oaked Chardonnay are versatile whites, while Merlot and Rioja are food-friendly choices for reds. House wines should not be expensive—you should feel as comfortable opening a bottle for Tuesday night takeout as for company on Saturday night. Check out these easy to drink wines for under $10. Keep your wine comfortable. The worst place to store wine is on top of the refrigerator, where heat and vibrations can wreak havoc. If space allows, put a rack in a room without direct sunlight. If your new abode is too tiny, store wine in the coolest and darkest part of your apartment—a closet. Take a cue from college and take notes or just use an app. When you find a wine you simply adore, jot down the details in a wine journal, spiral notebook or smartphone. Note the producer, vintage, wine name, purchase price, aroma and flavors, and your overall impression (“it was rich and lemony, and went really well with grilled chicken Caesar salad.”) Apps such as Vivino and Delectable can help you find new wines to try based on type and price. These apps can also help you keep track of your favorites. Become friends with the clerks at your local wine store. Add yourself to the store’s email list to stay informed about in-store events and sales. Attend free tastings to “try before you buy.” Ask for bargain wine suggestions—clerks are happy to share great finds. Finally, take advantage of frequent shopper or case discounts to build your wine collection. Find great wine on the cheap. There is no shortage of wines costing upwards of $100. Much more satisfying to new grads on a budget is finding inexpensive bottles that taste anything but. France’s Languedoc region produces excellent whites, reds and rosés that won’t deplete your checking account, and South America is also known for great wine bargains. Don’t snub the box or the can. Another economical choice, wine in a box is now being made by top producers from all over the world. It’s the perfect option when you just want a glass, or need wine for cooking, and it lasts for months. You can now also find sparkling, spritzers, red, white and rosé all in a can. Start a wine tasting club. Take turns hosting, and have each guest bring a wine new to them. Offer simple hors d’oeuvres like cheese and crackers, as well as non-alcoholic beverages. Share opinions as you taste. And keep in mind that wine tasting is very subjective—more like an essay exam than a true or false test. Keep experimenting. Tasting is the key to learning about wine. So continue to try new ones, in addition to sticking with tried and true favorites. Enjoy your wine studies! How Well Do You Really Know Wine?